It’s unusual for music, films or books from Estonia, Latvia or Lithuania to gain much attention beyond the borders of their country, since relatively few elsewhere speak the languages or know much about this part of the world. Deep Baltic’s feature DB Recommends intends to do a little bit to correct this: we get our contributors to choose something cultural and Baltic-related they’re passionate about and explain just why it’s so great. We kick off with George East, who tells us why he thinks a seminal Lithuanian musician deserves wider acclaim. It’s difficult to pick one particular Lithuanian musician for DB Recommends because so many of them make quality tunes. However, I have to choose, so I would choose Andrius Mamontovas. His music, for me at least, has shaped an entire generation, and those are the Lithuanians who are currently in their late 20s-to-mid 30s, and are building a country with a bright social and economic future. During the 1980s, Mamontovas was in a band called Foje. They pretty much created the rock music movement in Lithuania. Without them, it’s difficult to imagine that the scene would have been possible, and even now in 2017, Foje (and so Mamontovas) are still a source of inspiration for young artists. Imagine a musician singing about hope and freedom – two basic human values – at a time when the Soviet system was crumbling and the first rays of freedom came to light. 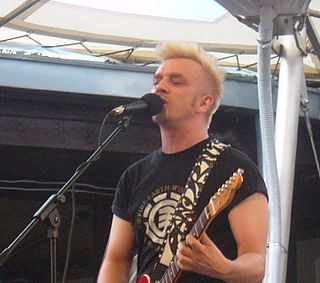 In 2008, Mamontovas recorded a song called “Geltona. Žalia. Raudona”, which means yellow, green, red. If you’re reading this, I’m sure you’re aware what these colours represent. If you’re new here, these are the colours on the flag of independent Lithuania. I’m not generally keen on patriotic songs, but if you understand Lithuanian history, then being able to sing “Geltona. Žalia. Raudona” without fear of repression, and enjoying what it means to be Lithuanian must be somewhat of an outpouring of joy for Lithuanians who lived during, or grew up immediately after the Soviet occupation. George East is a British journalist based in Vilnius. He likes Lithuania quite a lot.